A corporate move is a complex task that must be handled flawlessly every step of the way. Relying on an established New Jersey corporate relocation company will minimize your downtime and get your business up-and-running again quickly. The professionals at SeaCure Moving, Inc. have been leading corporate movers since 1981. For over three decades of quality service and commitment to total customer satisfaction, SeaCure has become a BBB-accredited business and a ProMover with the American Moving & Storage Association (AMSA). Whether your corporate relocation in New Jersey is national or international, we can provide the custom solutions you need to meet your business objectives. 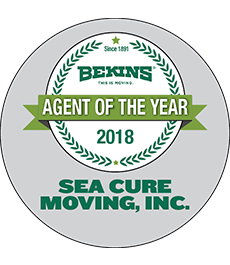 As a Bekins agent, SeaCure has access to state-of-the-art technology and a worldwide network of support that will help ease any long distance or overseas corporate relocation. Full-service packing and custom crating will simplify your employees’ transition to their destination. SeaCure’s New Jersey corporate relocation services allow you to rest assured knowing that you and your employees’ valuables are safe. We offer “For All Its Worth” transit protection and Bekin enCompass™ lump sum & direct reimbursement to guarantee your items are covered throughout your journey. Don’t delay any longer – the experts at SeaCure can relocate your corporation with ease. Call today for more helpful information or fill out our Quick Quote Form now to receive a no-obligation estimate of moving costs.